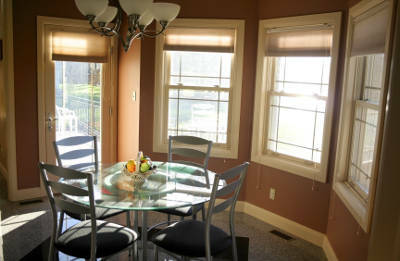 Homeowners in Cedar Rapids need energy efficient, durable windows. 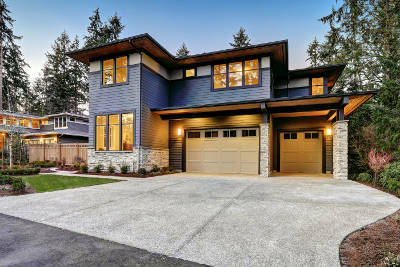 With the weather constantly changing, you want to make sure your home remains at a comfortable temperature and can withstand rain, snow, hail and wind. Thankfully, Feldco has you covered. Our vinyl windows are built specifically to handle anything Cedar Rapids can throw at them. Plus, they’ll keep heated and cooled air in your home, saving you money on your energy bills. If you need replacement windows in your Cedar Rapids home, get a free quote online or call 866-4FELDCO. There are many options when it comes to replacement windows so you’re probably wondering, what makes Feldco so special? Our windows are extremely energy efficient thanks to their foam insulated frames and double pane, argon gas-filled glass. That means heated and cooled air will be contained in your home and you’ll keep out drafts. This will help you save money on your energy bills. Also, Feldco is a company that you can trust. We’ve been serving the Midwest since 1976 and have helped 350,000 homeowners with their home improvement projects. All of the installers are factory trained and certified so you can rest assured knowing that your replacement window installation is in good hands. Feldco offers many different window styles that look and operate very differently. There’s no right or wrong answer when choosing a window style – it all depends on what’s best for the room and your preference. You also don’t need to get the same window style that’s already in the opening. We custom make all of our windows to fit the measurements that we take. Below, you can learn a little more about the window styles offered at Feldco. Double hung windows are the most popular window that we offer, and with good reason. Both the top and bottom sash open, giving you complete control over your home’s energy efficiency. When it comes to cleaning your windows, double hung windows make it easy. There are tilt latches on the top of both sashes. When they’re pressed, you can tilt the sashes into your home so you can clean both side easily. No more going on a ladder and scrubbing the outside of your windows. Feldco also offers a special feature that you won’t find on any other double hung window – child safety locks. These are little latches that come out from the windows and prevent them from opening any further than 3 inches or 5 inches. They prevent children and pets from getting out of your home through the windows. There’s no room that isn’t a fit for double hung windows. They’re perfect for bedrooms, family rooms, kitchens and basements. It’s no wonder double hung windows are so popular. Another very popular window style is the casement window. Casement windows open on a hinge and are operated using a hand crank. This gives the casement window great control of air flow and makes it easy to clean. Many homeowners fear the hand crank because it typically protrudes from the exterior of your home. Thankfully, Feldco has you covered. The crank of our casement window folds in and lays flush against the frame. You don’t have to worry about it getting caught in clothing or jabbing into you when you walk by. Much like double hung windows, casement windows can be found in any room in your home. They’re most often used in bedrooms and kitchens. Sliding windows are like double hung windows on their side. 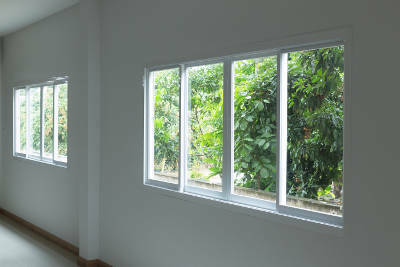 Rather than opening up and down, sliding windows move left to right. You can have two operating sashes or one operating sash and one fixed sash. The child safety locks are also an exclusive feature for the sliding window. This is great for keeping your family and your pets safe inside your home. Cleaning your sliding windows is also very easy. Both sashes can easily be removed from the frame so you can reach both sides of the glass. Putting them back onto the track is incredibly easy as well. Since sliding windows operate on a track, they’re extremely easy to use. That means they’re often used in harder to reach areas. Many homeowners have sliding windows above kitchen sinks, in bathrooms and basements. Picture windows allow the most natural light into your home. They’re often larger windows that help blur the lines between what’s inside and outside of your home. Another feature of picture windows is that they’re inoperable. They’re often paired with other window styles like awning, double hung and casement windows. Many homeowners use picture windows in their living room and family room to make the space look larger. Bay and bow windows are often a combination of windows that extend beyond the facade of your home. Bow windows are made up of 3-5 windows in any combination of double hung, casement or picture windows. They also create a window seat. Bay windows are a little different. 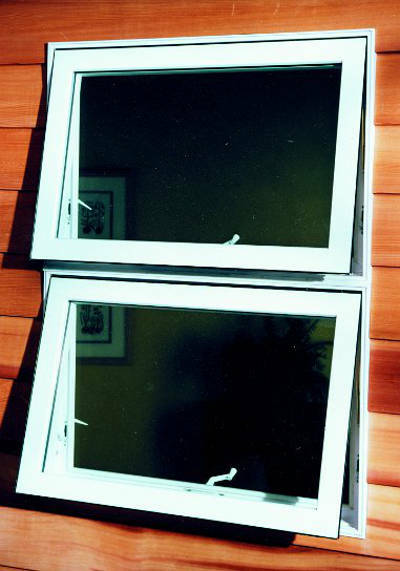 They consist of three windows – a picture window in the center and a double hung or casement on each side. 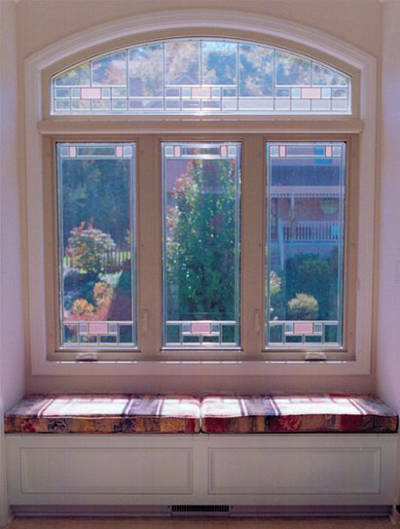 Much like bow windows, a window seat is created with this window style. These window styles give you the best of both worlds. You maximize the amount of natural light that gets into your home with the picture window without losing the ability to control the air flow. Both of these window styles are most often used in living rooms and family rooms to help open up the room. Living rooms are also very common because it helps improve the curb appeal of your home. 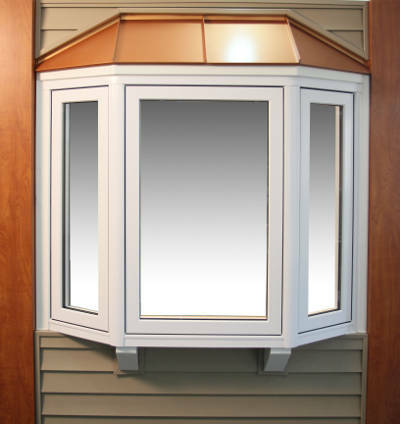 If you’re looking for a more unique style, awning windows are the way to go. They’re hinged at the top and open out from your home. There’s a reason the windows open so differently than any other window style. It creates an awning effect allowing rain and snow to slide off the surface and away from your home. 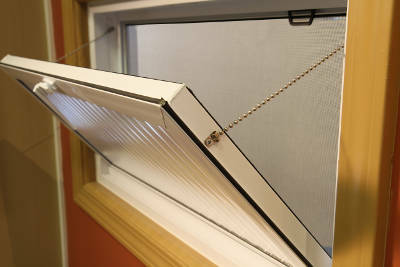 That means you can open your awning window and get fresh air into your home no matter the weather. There’s no particular room that awning windows are often found. 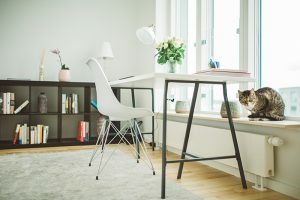 They work best when they’re paired with a bigger window style, such as a picture window, to allow more natural light into your home at the same time. Hopper windows are the exact opposite of awning windows. They’re hinged at the bottom and open into your home from the top. 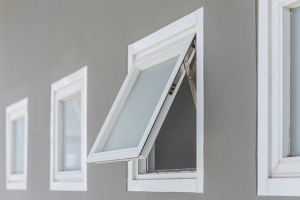 Similar to awning windows, there’s a particular reason why hopper windows open this way. Since they’re typically found in the basement, they wouldn’t be able to open outwards. 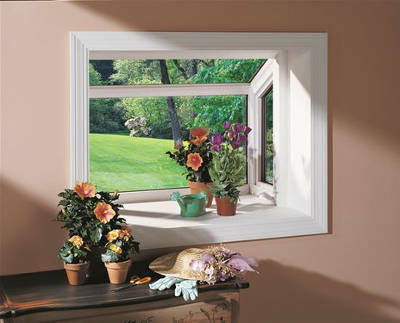 The bottom of the window sash would get damaged and it would ruin any plants, flowers and bushes you have planted near your basement windows. Opening into your home allows you to still enjoy fresh air without damaging any part of your home. Don’t let your basement become dark and dingy, get a hopper window. Bay and bow windows aren’t the only styles that extend beyond your home’s facade – garden windows do as well. They consist of a small box of windows (picture windows on the top and front and casement windows on the sides). Garden windows are often found in the kitchen and great for Cedar Rapids homeowners. They’ll allow you to grow herbs, flowers and plants during even the frigid winter months. If you want to really improve the look of your home, you should consider getting architectural windows. They’re uniquely shaped, inoperable windows. There are many different shapes you can get for your architectural windows including circles, semi circles, hexagons, squares and triangles. They’re often paired with double hung, casement and picture windows and used as a decorative piece for your home. 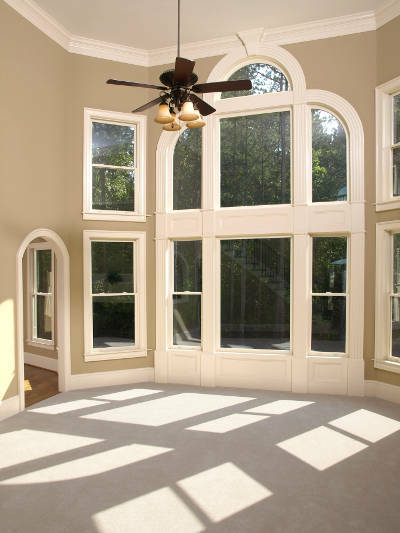 Architectural windows are often found in living rooms, family rooms, basements and above entryways. That being said, they’re highly versatile and can be used anywhere in your home. If your window isn’t installed properly, the quality doesn’t matter. You need to make sure you have your windows installed by someone you can trust and that’s where Feldco comes in. 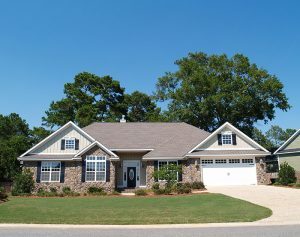 We start by having a Product Specialist come to your home and go over the different options for your home. They do a rough measurement of the opening. Next, we have a Measure Technician come to your home and go in more depth with the measurement. We measure twice to ensure that your windows are the right size when they’re ordered. Since our windows are custom-made, we want to make sure that they’re created right the first time. Once your windows are made, they’re installed by factory trained and certified professionals. They move quickly but efficiently making sure the job is done fast, but right. With over 350,000 happy homeowners, you know you’re in good hands with Feldco. With over 40 years of experience, you won’t find a better window company in Cedar Rapids. Our high quality, energy efficient products will make your home more comfortable year round while helping you save on your energy bills. 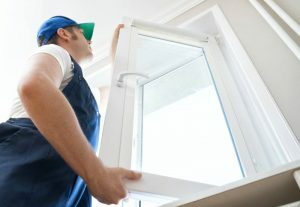 Your windows will also be installed properly to ensure that there are no gaps and leaks between the window and the frame. They’ll look great and hold strong decades after installation. Why wait on replacement windows? Join the Feldco family today and have your windows replaced by Cedar Rapids’ best home improvement company. 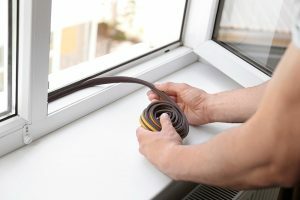 Take the necessary measures to fix your window seal and insulate your home. Find out how natural light can improve your mood, productivity and more. Improve the curb appeal of your home with these 10 awesome ideas. Learn all about the different parts of an awning window so you can be prepared if anything needs to be fixed. 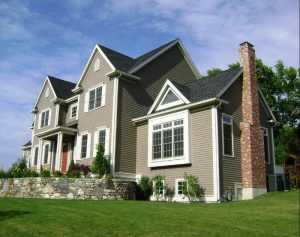 It’s time to get new windows and you must determine which material is better for your home – wood or vinyl windows. 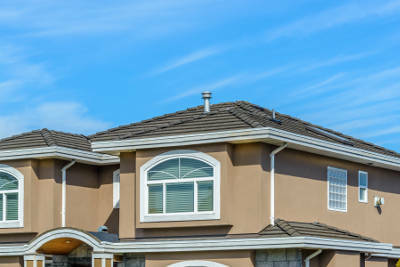 Learn more about which option is better for your home in Cedar Rapids by reading this article. Do you have vinyl windows on your home. You should! We’ll explain why vinyl replacement windows are perfect for Cedar Rapids homes.